Good afternoon, it has been along time since I have posted. 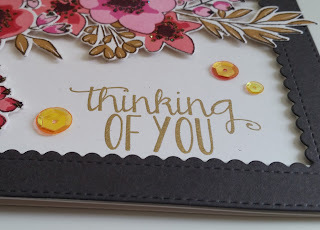 Papertrey Ink is having a February Blog Hop so I have decided to join in with the challenge. 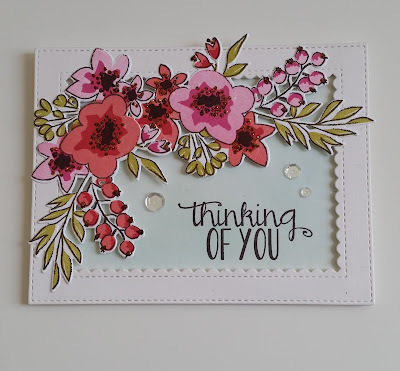 I have made a few different cards and they are all raised up with foam tape. 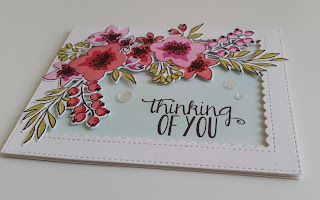 I am sure all of you can name the stamp set that I have used, it sure is lovely and have enjoyed using it. Thanks for hanging in there, there was lots of pics! 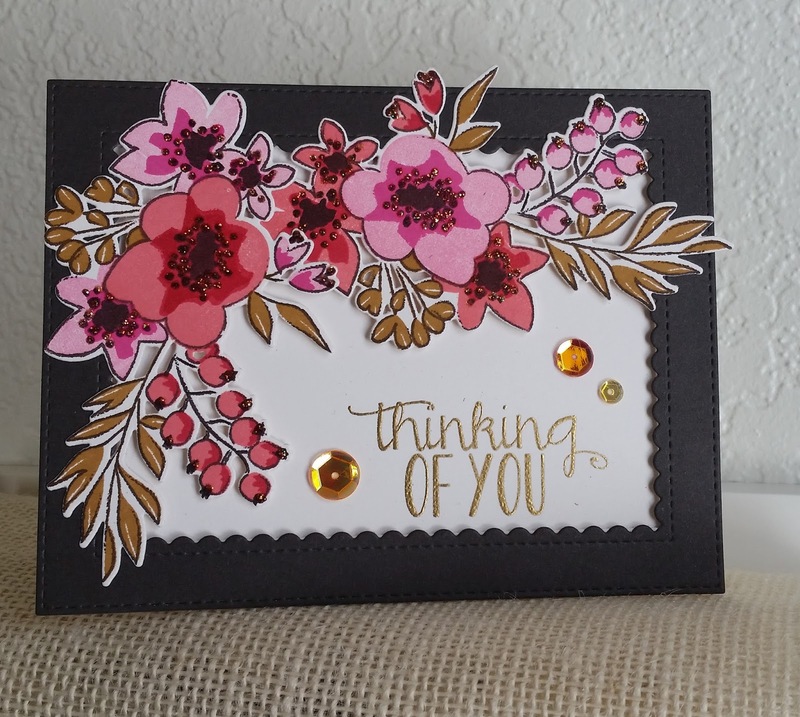 Nancy, all of your cards are beautiful and your selection of ink colors is wonderful. And now I think I "need" that stamp set!!! Such a pretty design and easy to make a few at a time. This is such a gorgeous sight! I love how you made more than one card and that they're all so beautiful. These are all just really gorgeous. Such a beautiful floral set. I love your clean, beautiful layout, too! Beautiful! These are so pretty...I love both the colored frames you've used and the beautiful colored florals!! Wonderful set! This is so pretty!!! love the flowers and the frame. Thanks for sharing! WOW! These are all so stunning! Beautifully done! These are fantastic...love love love them! Wow! You've been busy! Love, love both variations of this card and how you used two die cuts of Floral Bouquet...I know what my next card will look like! Oh Nancy, what a simply divine set of cards! Love the black frame, but the white is beautiful too! I want to pull out that set and use it!!! Wow! These are all amazing!! Wow, Nancy the sprigs are gorgeous in the colors you chose! So many beauties! What a wonderful set of cards! So nice to see you on the hop. Oh my goodness!!! 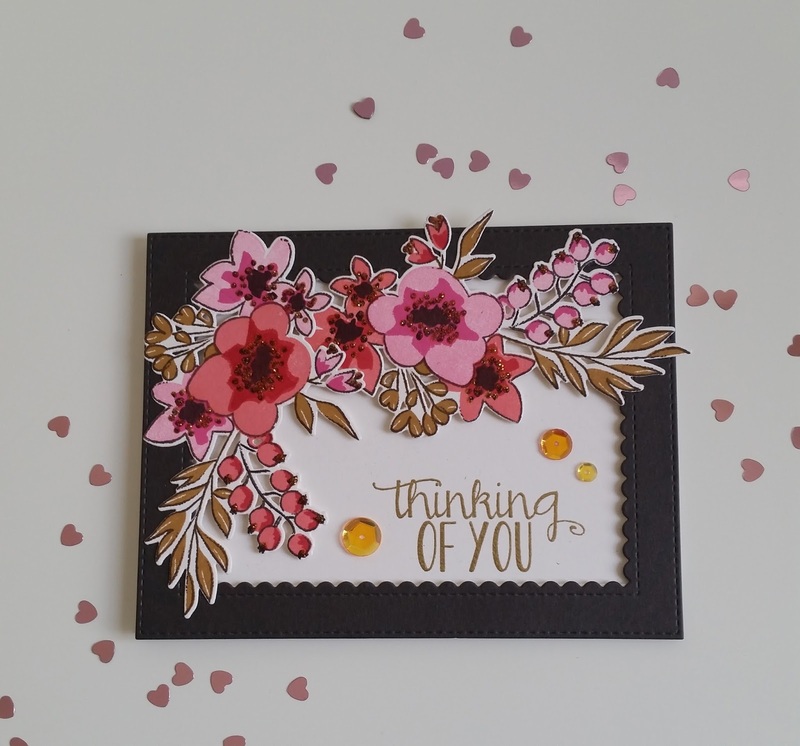 Your set of cards are stunning!! Love the floral sprays and frames!!! Thanks for the inspirtaion! What a gorgeous set of cards!!! So good to see you, Nancy! 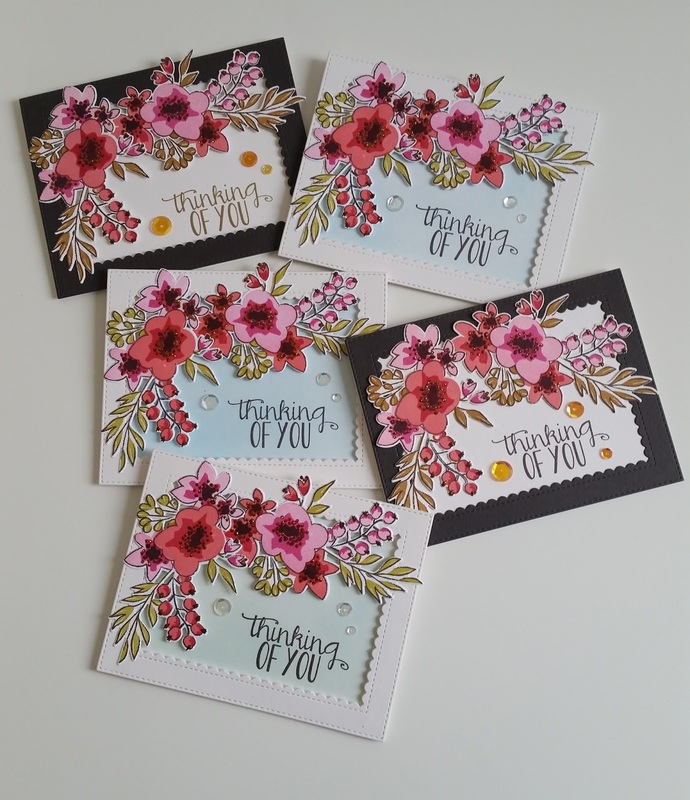 Beautiful cards and gorgeous stamping! Your cards are gorgeous but I'm not familiar with the stamps. Please share the name. These stamps are from Papertrey Ink.